Well, I'm picking a new favorite each day it seems! But so far, my fave remains Log Cabin-ish. You have so many contenders. I am looking forward to making the Candy Cane chaquilting. I also like Luminous. I love Aurifil thread for piecing but I have never used it for qyilting. My two favorites so far are Four Patch Speedway and Falling Stars. As to the thread, I would use it piece these beautiful quilts! Candy Canes and Honeysuckle are my favorites so far. Love the scrappy look! I have never used Aurifil thread before. I'd love to use it with my quilting. I am love with most of them, but Speedway is calling my name today! My go cutter cuts 2.5 squares so I am hoping it is make with that size. Right now Four Patch speedway is my favorite because of the design options I think this is your best book so far. Love it!! I’m always in the market for thread that blends. But I do like heavy thread for quilting 30wt. Falling star is my favourite so far - it is such a unique setting. I love Aurifil thread for piecing and for quilting. I really like Four-patch Speedway! I love Aurifil thread for puecing, and these neutrals would be great for that. I think my favorite is Dazzle. At least today it is. �� Candy Canes and Falling Stars are on my faves list too. Love all the possibilities! As far as the thread goes, I will be able to try it for the first time and see what all the fuss is about. Happy quilting! I know there is another log cabin in my future, so Snippets is the favorite so far. I've never used Aurifil! I'd use for all my piecing and quilting if I had some! 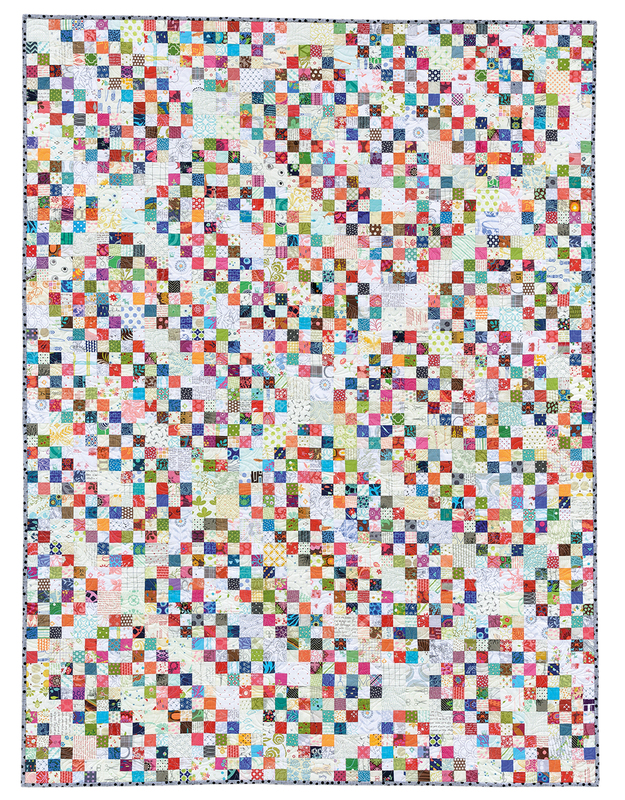 There are so many pretty quilts in this book that it is hard to choose. I like Luminous and Candy Canes and Falling Stars and Speedway! If I had to pick just one, today I would say Speedway. Oh my gosh, I can't believe you would make us choose a favorite! I'm still deciding, but of those I've seen, Star Petals, Candy Canes, and 4-Patch Speedway are the current contenders. I've used Aurifil since I first discovered it in 1999-2000 I love this stuff and buy it by the cone. 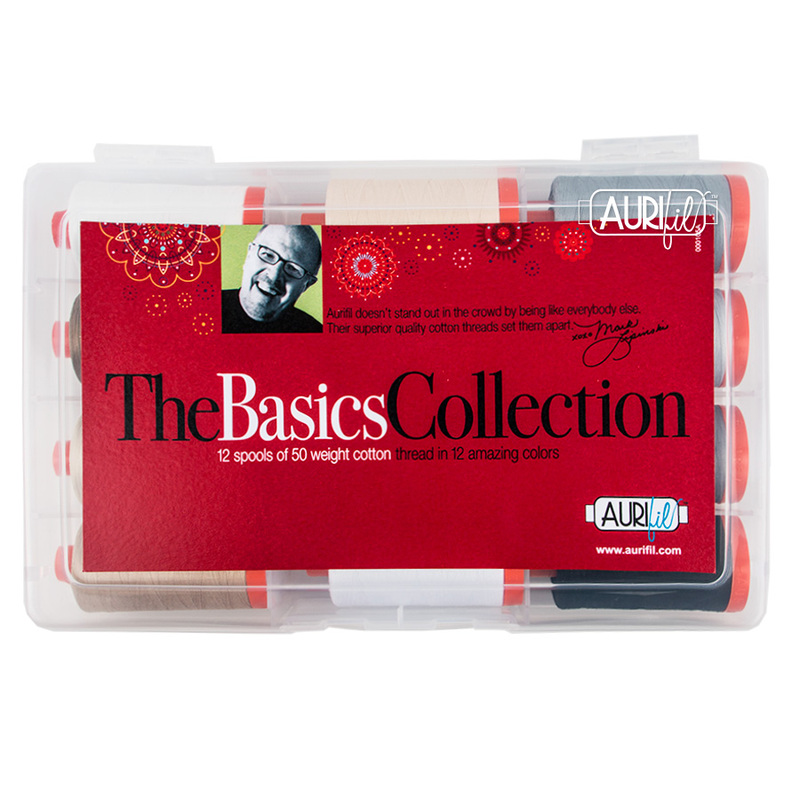 I haven't tried to use it for quilting, but will try it with your recommendation. It's hard to pick just one favorite quilt so far because I've loved them all. The one that spoke to me first was Magnolia Cottage. I think it would be a fun one to make. I love your Honeysuckle quilt. I've been sewing my trimmed triangles together as leaders for the last few quilts I've sewn, so all I will have to do is trim them to size. Falling Stars and Dazzle are my 2 favorites so far. 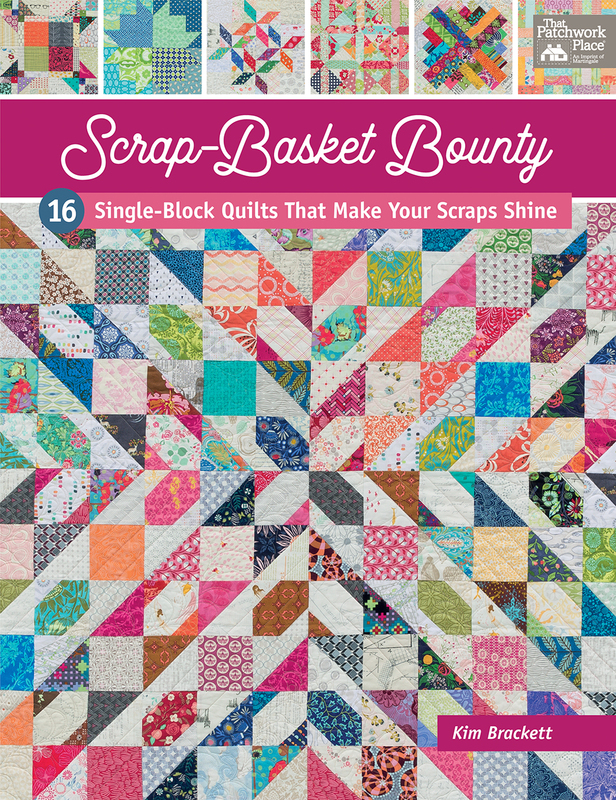 You have lots of great quilts in this book. 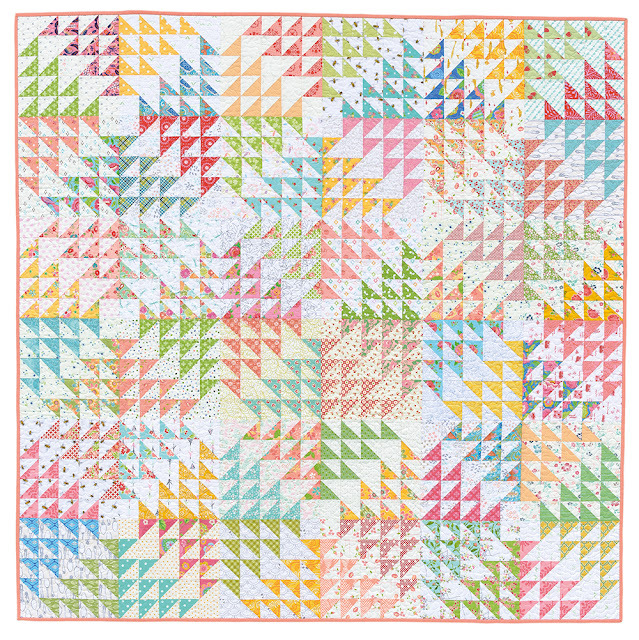 I love yur Magnolia Cottage quilt all the B&C fabrics in their so pretty! 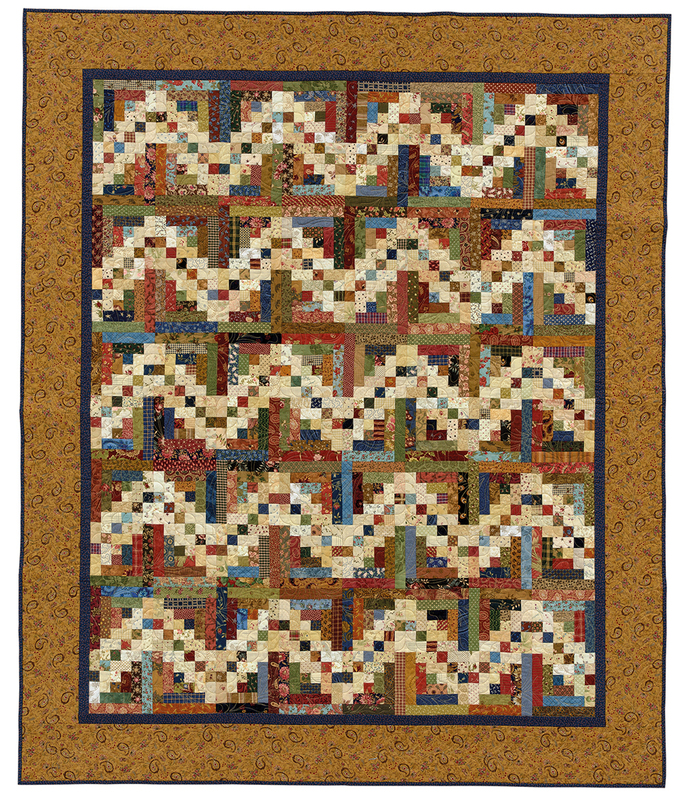 I really love Snippets, it has a beautiful old fashioned, traditional vibe, which are my favorite kind of quilts. 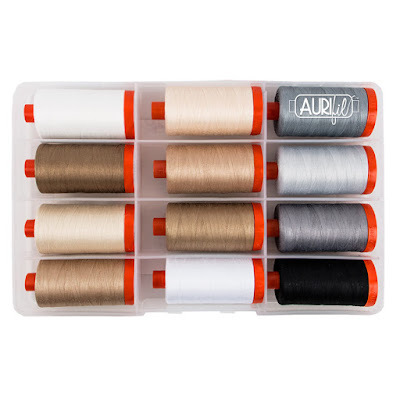 I go through tons of neutral Aurifil threads, they are so versatile for nearly every color fabric we're working on. 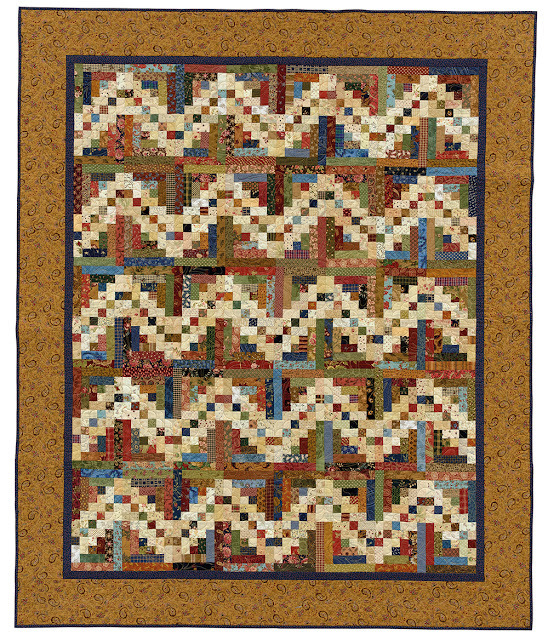 I love the Snippets quilt the best so far, partly because it's a log cabin design. I would love to win a copy of your new book and that neutral box of thread would definitely get used.Thanks for the opportunity to win. Wow! Just wow. :-) I need piecing thread and would love to win this! I am still in love with Falling Stars... just love that quilt!! Thanks for the fun! Log Cabin-ish is my favorite so far. I like all the quilts I have seen immensely! I would use that thread for piecing and quilting! Four patch speedway is my favorite. I'd use the thread for piecing. I’ve never used Aurifil thread either! It would be lovely to try it. My fave quilt so far is Three Patch Chain! Picking a favorite out of this book is hard! I have really been enjoying the tour. And all that thread! I’ll be able to piece lots of lovelies. I like the "Falling Stars" quilt--would be fun to try in patriotic colors also--maybe a Quilt of Valor--it's hard to pick a favorite because there are so many I'd like to try--and I would be using that Aurifil thread if I won! I love the Honeysuckle in today's post. I can see it in so many fabrics! Dazzle and Falling Stars are my favorite so far. I use Aurifill thread and really like it for piecing. I think my favourite is Magnolia Cottage, but there are several that I intend to make. They are already on my to-do list and I don't even have the book yet. I can't wait to add it to my collection of your books. I think my favorite quilt so far is Falling Stars--love it! I am also in love with Aurifil threads. My HQ16 loves it too and I've been purchasing it by the big cone to finish my quilts. Falling Stars is my favorite, and since I’m obsessed with repros, that Aurifil thread will work perfectly for both piecing and quilting. I have to say, I never really considered quilting with it, but your explanation makes perfect sense, so I’ll be trying that soon! My favorite is Falling Stars, and I'm already an Aurifil convert. Love that thread! Log Cabin-ish is calling my name! Your designs are terrific! As for thread, Aurifil is great, but I also like Superior Threads So Fine and Bottom Line. Everyday I have a favorite...this is just too hard to answer! Today it is Fae ling Stars! I would love to use the thread for quilting my stack of quilt tops! There are several quilts in this book that I'd like to make. I think Dazzle is my favorite. Although I like all of the quilts, if I have choose one it would be Falling Stars. I would use the thread for piecing. Thanks for the chance to win your wonderful book. The 4 patch speedway has got to be my favorite. I love the look and all those little blocks. Just what I love to work with. I would like to try the thread out on a hand-quilting project. Thanks for the great quilting book with such wonderful inspiring quilts. And thanks for the giveawway. More great patterns to drool over! I do love Falling Stars and am excited about your different setting options for so many of your blocks, so terrific. 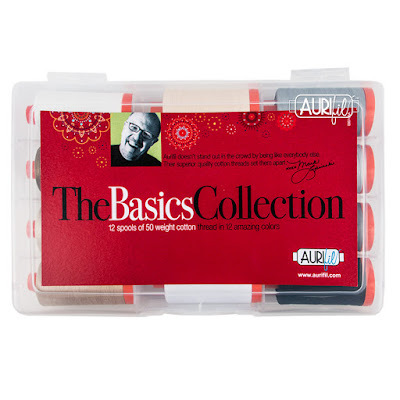 I have used Aurifil thread many times and am happy my local fabric store is now carrying it in many colors. I didn't know you quilted all your own quilts--I do most of my own but have sent some out for custom work (like the Cal King for our bed!) and my sister has just purchased a longarm machine I've done one quilt on so far. I have loved all of the quilts so far, but today, my favorite is Snippets. And I would use that beautiful thread to sew Snippets. Thanks! 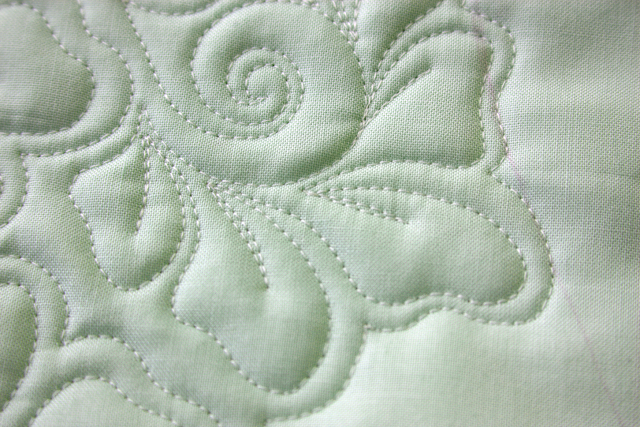 I ABSOLUTELY adore the Honeysuckle quilt - simply because I love honeysuckle ! With that BEAUTIFUL thread I see quilting in my near future. Oh wow, picking a favorite is hard, since I love them all!! I guess I will go with Falling Stars. I can't get that one out of my head, so I know it would be one that I'd make first, using my Aurifil thread!! I use Aurifil thread most of the time, and really love it!! Falling stars is my favorite so far. I think I would use the thread for piecing on my featherweight(which is fairly new to me, the first time owning one!). It is hard to pick a favorite, I always make several quilts from your books. The one I plan I making first is Luminous so I guess we can call it my favorite. I have used Aurifil for piecing since it was recommended to me by my local quilt shop staff, I haven't tried it for quilting - yet! Honeysuckle might be my front runner thus far, but, I love your designs!!!! Honeysuckle!! With the thread I would piece and quilt to my hearts content. I like the Snippets pattern, but it might be a bit of a challenge for me. When I try it I want to try some reproduction style fabric because that is out of my comfort zone. So all around it will push me to stretch my skills, but I want to give it a try. I have all of your other books so this one is a must also. Honeysuckle is my favorite quilt. I love, love, love Aurifil thread--and my machines do too! It’s definitely Graffiti. And these threads would look great with French General don’t you think? I really love Log Cabin - Ish. I’d love to use the threads to quilt a few languishing tops I have that need to be finished! My favorite so far is LUMINOUS. But there are many I’d like to make. Honeysuckle and Candy Cane are my two favorite. I like Snippets! I enjoy seeing log cabin variations as I really like that block. I have several quilts ready for quilting so the thread selection would be very handy for that. I need grays and beiges now! I REALLY LIKE HONEYSUCKLE! THE COLORS CHOSEN ARE MY FAVES! I WOULD LOVE TO TRY THE THREAD AS WELL. Log cabinish has been my favorite so far. I also love the cover quilt. I only use Aurifil thread so Ikd use the ML kit for piecing and machine quilting my tops. Thanks! This looks like ANOTHER beautiful book Kim. I'd first make Honeysuckle from your new book. I've been a big fan of Aurifil thread for a long time now, and I almost exclusively use Aurifil for everything from piecing to appliqué to sewing on hockey name bars onto the backs of my kids' jerseys! I can always use more Aurifil. Thanks so much for this chance and all of your lovely patterns over the years. 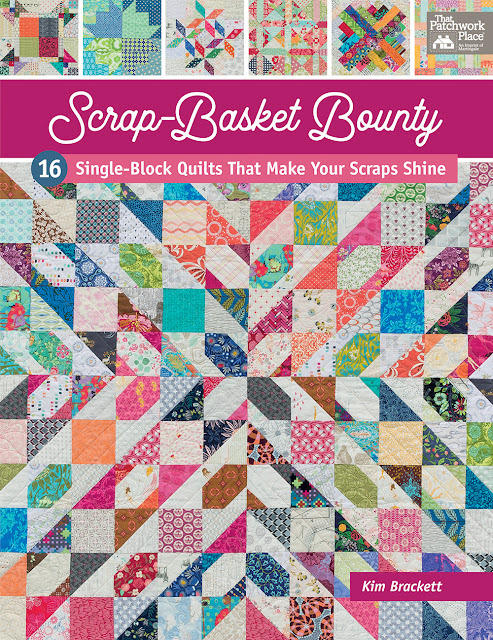 The cover quilt grabbed me for the win...till I saw Magnolia Cottage. Both are favorites. And that thread...gorgeous neutrals! I really, really like the 4 Patch Speedway! Oh my, I have to pick ONE favorite? I have so many favorites in your new book! I love, love the cover quilt, Starburst is so stunning, and Falling Stars is super cool. I also love Aurifil thread, for piecing and quilting. It's just the best! I have heard an awful lot about Aurifil threads lately - its the latest buzz! Amazing work! I love the fact that I’ve never seen something like that before. I piece with Aurifil 50 wt thread, but have never tried it for quilting. Thanks for the suggestions and I'm going to try it next time. Honeysuckle is my kind of quilt and it will definitely be the first one I make from the book. Oh wow, such a nice giveaway today! I also like Aurifil thread - I use it more for piecing than quilting, but it is lovely for both! Three patch chain is my favorite so far! It caught my eye right away. All are gorgeous. Aurifil has been my go to thread for years - I love it for piecing and have used it for quilting too. If I win, the thread will be what I use on the daily. I particularly love piecing with the grays. WOW! fantastic giveaways Kim, Martingale and Aurifil, thanks. My favorite on this blog post is the four patch speedway. Oh wow - at this moment, it’s Four Patch Speedway! My current favorites are Dazzle (love the scrappy backgrounds) and Starburst. Aurifil threads are the best! As soon as I first saw your book, I was in awe of Four Patch Speedway - gorgeous!! There is absolutely a Four Patch Speedway in my future. Like right after the Christmas presents are done. Or, maybe before if I lack restraint. As a side note, I started using Aurifil after being away from quilting for several years. What a delight to discover that! Candy Canes from Day 1 is my favorite! It reminds me of the ribbon Christmas candy that was popular when I was a child.